Exceptional Performance from Micro Labels to High-Volume Shipping: Boost your productivity with printers that just won’t quit. The ZT600 Series features durable steel structural components that can withstand years of abuse in extreme temperatures, dust, debris and other challenging industrial conditions. Meticulously engineered printing mechanisms provide 24/7 reliability to meet your high-volume production needs. 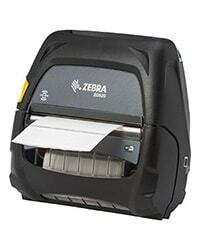 Plus, the ZT610™ offers best-in-class print registration with 600 dpi micro consistent printing. 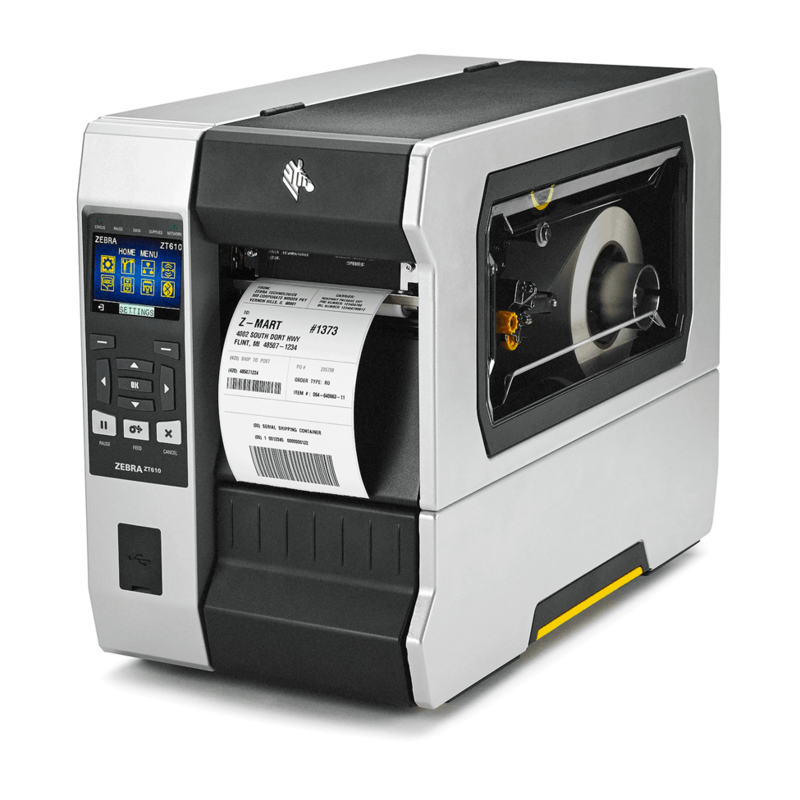 Hassle-Free Setup, Daily Use, Maintenance and Troubleshooting: From color-illuminated media and ribbon paths that help you identify problems quickly to easy-adjust printhead pressure toggles that feature a scale and color-coded pressure indicators to simplify printer setup and operation, every detail of the ZT600 Series was designed to be user-friendly. Side loading capabilities eliminate the hassles of threading. Onboard sensors, diagnostics and help resources reduce the need for technical support. And guided instructions and feedback prevent common errors and reduce manual adjustments for highly consistent printing. Operational Visibility, Remote Management, and Future-Ready Adaptability: The ZT610 and ZT620 are as smart as they are powerful. Zebra’s cloud-accessible Link-OS™ software platform and managed services offerings give you total visibility and control over your printing systems, whether you’re on-site or across the globe. Plus, with two available communication slots, field-installable RFID encoder and media-handling options, and two USB host ports for plug-and-play integration, it’s easy to stay ahead of your evolving business and technology needs, whatever they may be.